We have a Britax B Safe Car seat and I love that this car seat clips in, but also comes with a clip on seat for when your child grows out of the infant seat. I tried the cheaper clip in strollers, but none actually clipped in - you had to use straps to hold the seat in place. I could not beat Albee Baby’s price! It was the best price I found and fast free shipping! It was my first purchase through them and I have made several more since! This stroller is great! I love all the features and how well it pushes. It is easy to use and I get lots of compliments on it. I decided to buy this stroller after seeing my friends same stroller for her baby. This is a great product. All aluminum construction. Easy (One Handed) operation. Solid built and extremely stable when pushing our son around. If you want a great product this is it. I love this stroller!! It does everything I wanted it to do and my baby is so comfortable. I was so stressed searching for a stroller and I was amazed to find this Britax at such an incredible price! Honestly, I was expecting a used beat up stroller or a stroller with missing wheels because of the price that I got it for. 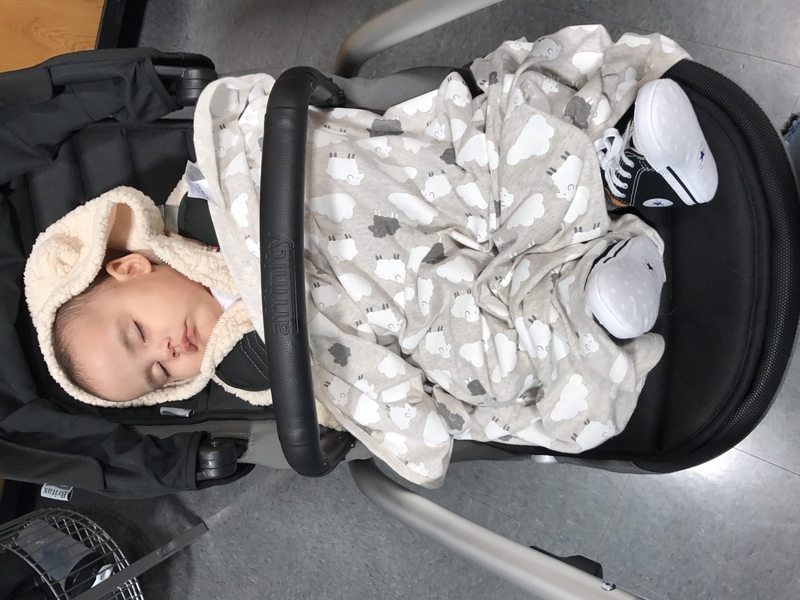 But, the stroller was new and it works great with the infant car seat that we already have from our first baby 2 years ago. The stroller came a lot faster then expected. 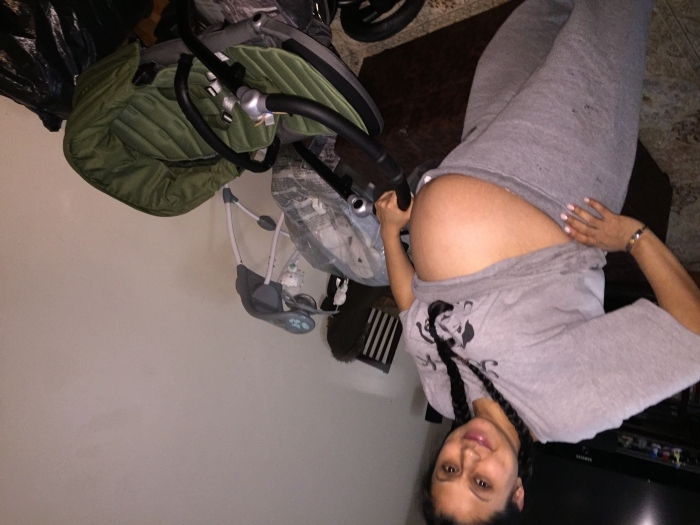 We were expecting 1-2 weeks but we got it in 3 business days. 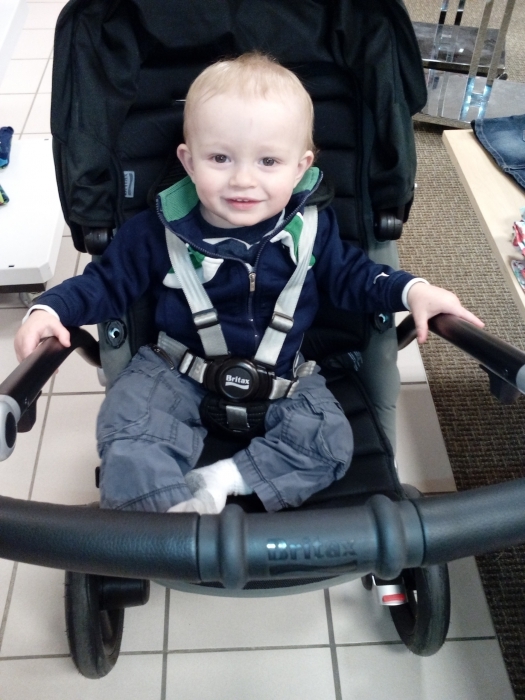 Best UsesGreat as a stroller frame for the britax infant car seat. I was looking into other stroller frames that can for the britax car seat that we have and was not having any luck until I found this stroller. Despite the comments and reviews I ordered this stroller anyway. NO problems at all whatsoever got here in a week and a half. I watched many tutorials on the stroller so it'd be easier to put together so I'd recommend doing that while waiting for your stroller to arrive. Only thing I do agree with that I read in the review section was the seat not being spacious enough for the baby. And the front wheels don't turn good but other than i am IN LOVE with my new stroller ! I think I may have finally found the perfect stroller. 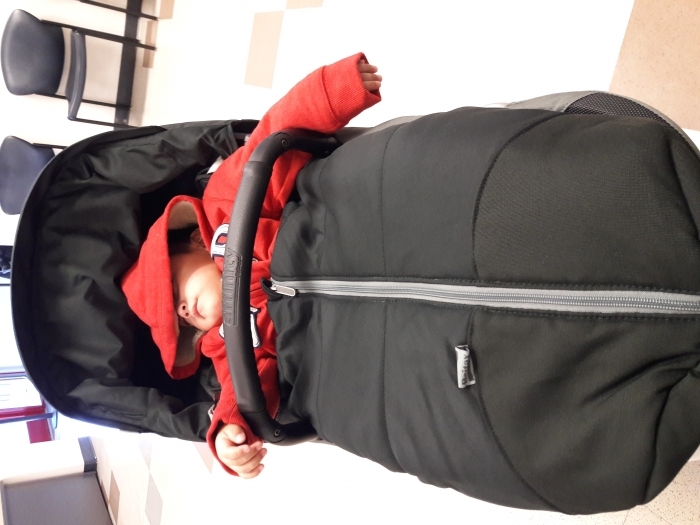 The seatvgoes in both directions, the seat reclines in both directions, it can be a travel system, it folds with the seat attached, super comfortable for the baby, the parent bar in leather is gorgeous, comfortable basket! we bought it for our first baby. it is easy to assemble and use. the wheels roll really smoothly and like the fact that it has suspension under it. did not expect to come up with any additional products, but it includes sun and rain cover respectively. my hubby loves that the handle can be adjusted to his height(5.97ft). 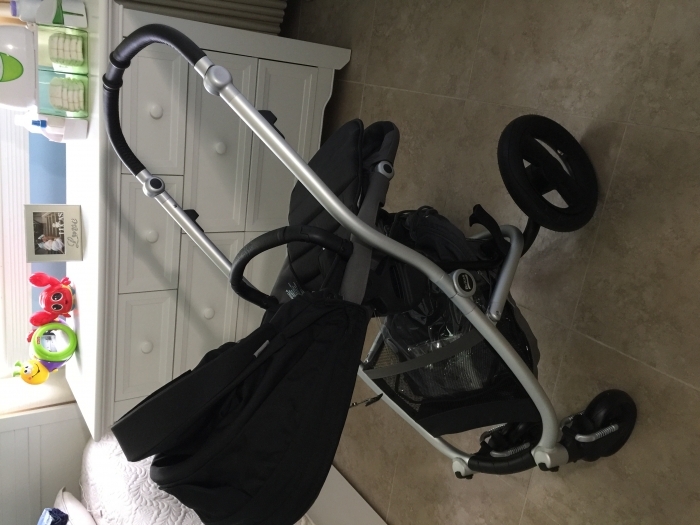 It was easy to put together the stroller pushes nicely roomy and I love that the cover on the straps have snaps so you don't loose them . 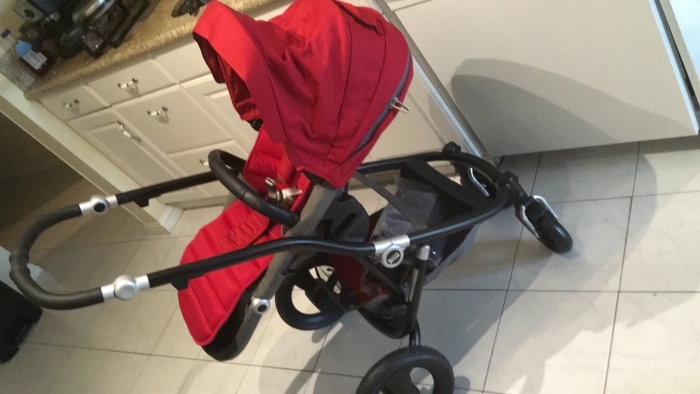 I just received my stroller, I'm in love, very light and super easy to click, came all complete, the price very good, and this stroller of excellent quality. loved it. Super recommend it. Elegance, comfort, resistence,good price, all in one item, Britax Affinity. I am happy with this purchase and I will buy one more to offer it as a gift. Best UsesVery good for baby's comfort and parents luxury. Very pretty design and all features very well thought out! But what's more amazing is the price!!! 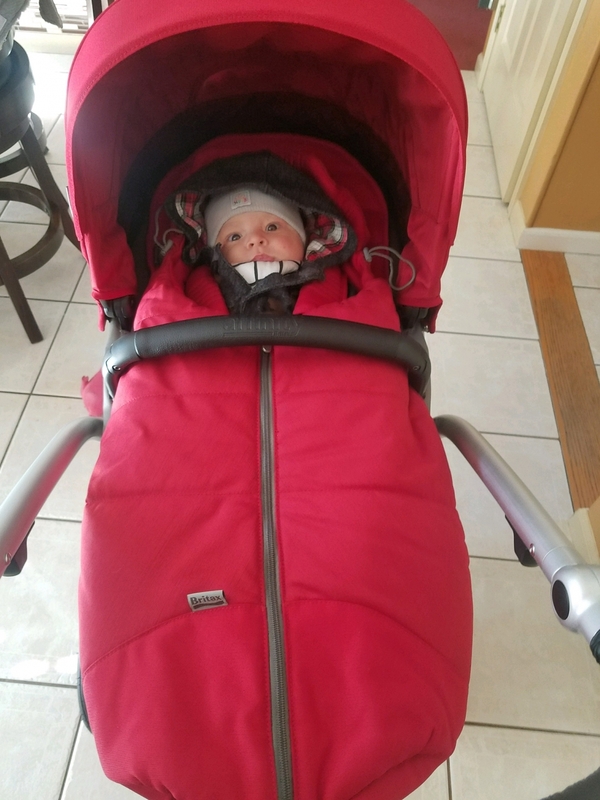 Super happy with this stroller would definitely recommend! Easy to assemble and folds flat quickly. Pushes like a dream! Highly recommend. Great we love and can't beat the price. Good stroller for a great price. The only reason I didn't give it 5 stars cause I'm not to fond of the big wheels. But other than that. It's a great for my baby boy. 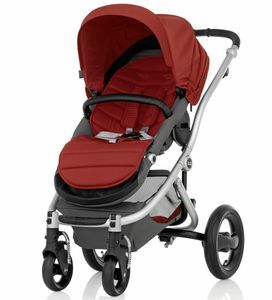 Love this stroller and can't beat the price! Love that the handle is adjustable ans that the seat can face both ways. Strolls so smoothly. Turns on a dime. Albee baby offers a price that can't be beat. Everything looks so comfortable and high quality. The adjustable handle fits my husband 6'3" and myself 5'4". The wheels lock nicely. I love the matching bassinet that I bought separately. And I was shocked by the weather cover that fits it perfectly .. I missed that in the description so it was a nice surprise!! Folds easily. Tires aren't that hard plastic! I love my stroller easy to fold and carry. My Baby loves it she sleeps in it and never wants to get out. Purchased this stroller for my six month old and she loves it. This stroller not only faces me but also can be moved into pram position when she gets sleepy. Wheels are great, somewhat large but maneuvers well so it doesn't feel bulky. Color is beautiful. Would recommend to others. I have been the owner of multiple strollers, and this is hands doen the best one! I love that your child can fsce you and the seat seems very cozy. My little one loves going for walks! This stroller is really nice. The ride is smooth. The adjustable handle bar is user friendly. I like the high position when laying flat. Lovely price from Albee Baby. I like this stroller. it is urban style, fashion, easy to use, adjust, more cover for baby from sun. there are just two things kind of weak. 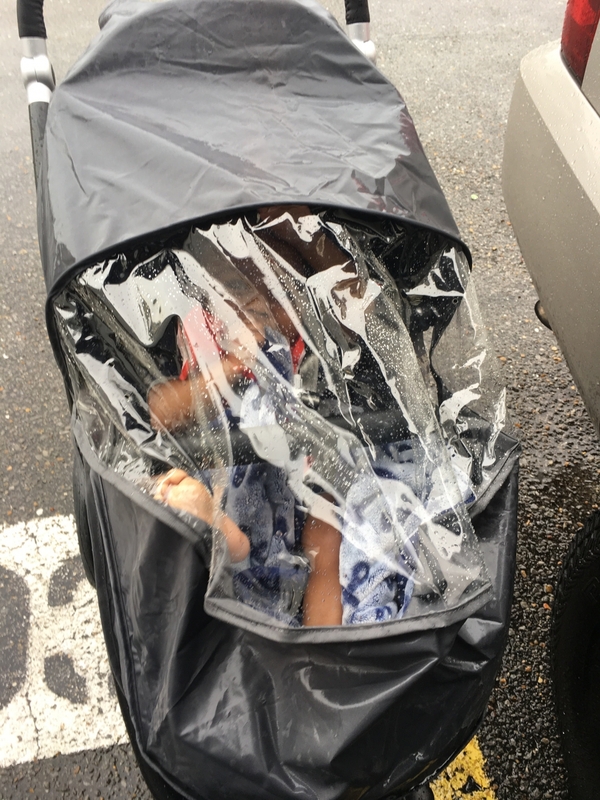 after fold it, it takes a lot space in the car to put in, and the basket under baby's seat is kind of small, couldn't carry many things.but when I bought it, the price was very good from Albee. We absolutely love this stroller. It is smooth and easy to carry no matter where you are going. It is light weight and folds into a nice compact position. 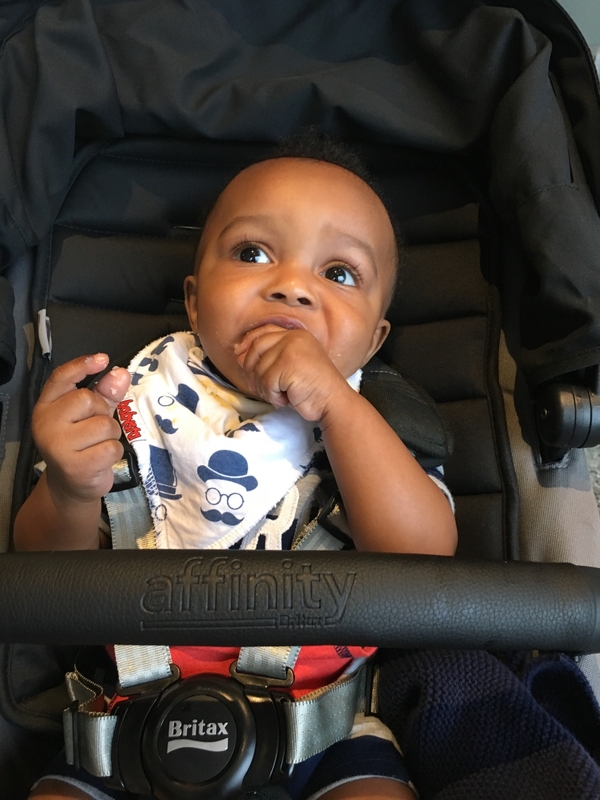 The strength of the stroller is remarkable and the comfort of the seat is just right. ConsNeeds a parent or child tray. Best UsesMalls, outdoor walks, etc. Purchased this for my almost two year old. My Graco was pretty worn out, counting on using it for another baby. At first I thought my almost to year old was too big for it. Turns out, she loves it. She's very comfortable in it. Loves to condor walks now. Highly recommend this stroller. Can't beat Albee's price. ConsA little bulky to fold and travel with. We can't get over how much we love this stroller. How easy it is to use all its functions . i did a lot of research before purchasing this stroller ,looking for the perfect one that dix all the positions that we wanted for our little one. We would definitely recommend this stroller . Thank you Albee baby for the awesome price . Love this stroller. It's light and beautiful. Great features and luxury look. ProsReal leather cover at handle bar and front bar. ConsThe seat is quite small so you might need to upgrade to a bigger stroller later. The only con I'd say is, the seat seems small. BUT I'm use to our city mini GT double too. Which we still have and adore, but needed a single occasionally. My two year loves his ride, and never wants to get out of it! :D that in itself is a huge win, because he doesn't like to sit still ; yes. I do reccomend the Britax Affinity...PS. The color (Sky Blue) is GORGEOUS. ProsEverything except seat size. I wish the seat was deeper. this stroller is very nice. & luxurious. It's heavy as well. But it's not a problem for me since we go out as a family most of the time so my husband takes care of the folding & unfolding. The ride is super smooth. The turns are so easy. The storage is nice. The canopy covers my baby a lot. All the extras it comes w are very nice (the rain cover & the sun cover). The only problem was that when I got my stroller in the mail, it had a HUGE dent/scratch. & the box also came w a hole. Maybe better care & shipping should improve. Especially since my base is silver you can notice the scratch a lot more. Iv had this stroller for a few weeks and I love it. Ppl ask me where I got it from. & I get compliments. My husband & I also fight over who's pushing the stroller cuss it's also fun. ProsIt has so many different positions for your baby. Facing the world/ facing you. sitting up/ laying flat etc. ConsIt came scratched really bad. It seems like it scratches easily. Best Useswalks in the mall/ neighborhood / parks. After two kids and two bugaboos I purchased this stroller. My husband and I joke that we have giants for children. 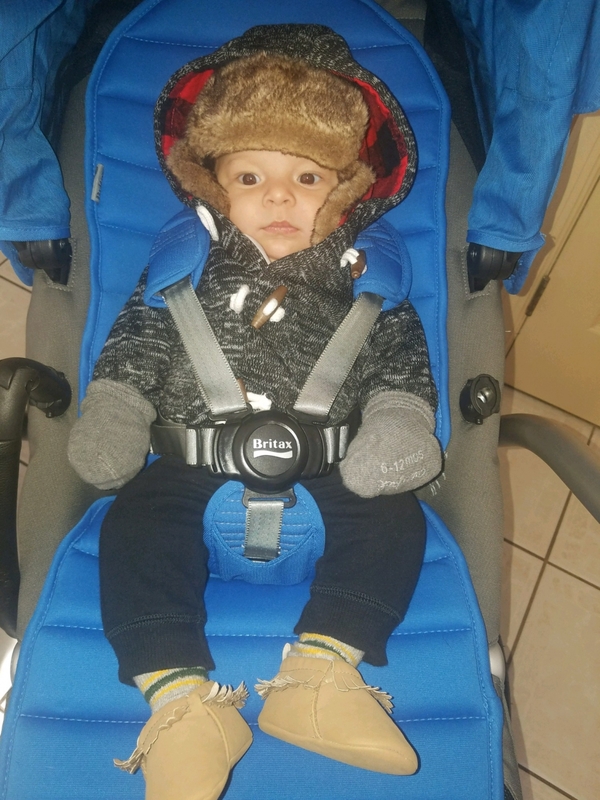 Our youngest is 1.5 and 35 inches tall and 30 pounds which means sitting in the Bugaboo cameleon is extremely uncomfortable. Literally his head pushes up on the canopy. So I ordered this stroller and within days it arrives at our front door. It took meer minutes to assemble! Major plus in my books. Comparing the Affinity and the Cameleon I would say that hands down the fit and finish of the Affinity is superior. The attention to detail has really impressed me. It's as though Britax bought a Bugaboo, studied it, borrowed it's best features and improved its weaknesses. There's nothing I don't love about it. The only regret is I didn't buy this stroller before our little guy was born! Oh! Did I mention our son is obsessed with this new stroller!? He doesn't want to get out!!!!! ProsHolds small to larger children Easily accommodates long legs Incredibly smooth ride Amazing maneuverability. The handle bar.....you have to feel it! Now that's luxury. Really easy to assemble! It looks great and really modern! 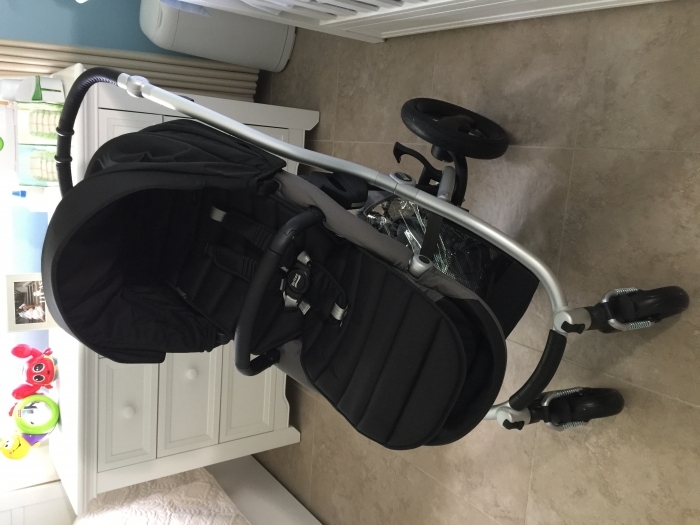 I love how easy it is to connect to Britax infant car seat! The best thing is that the handle bar can be adjusted to 4 different heights so everyone in the family can get used to it. I also love the feature that it allows you to put the infant car seat front facing or rare facing. 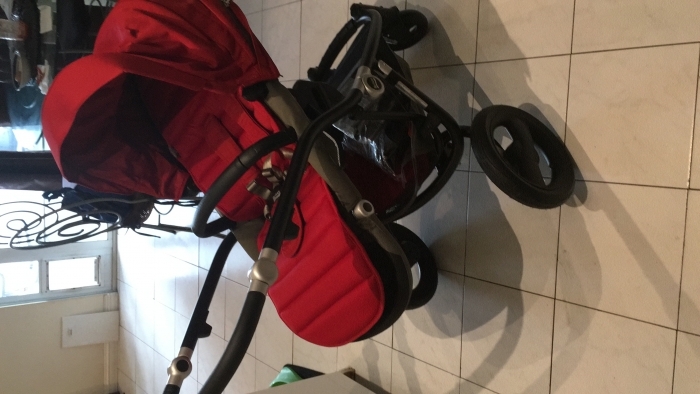 I do not think it is as heavy as many people said, although, the folding part is not the easiest, over all, it is a really stroller! 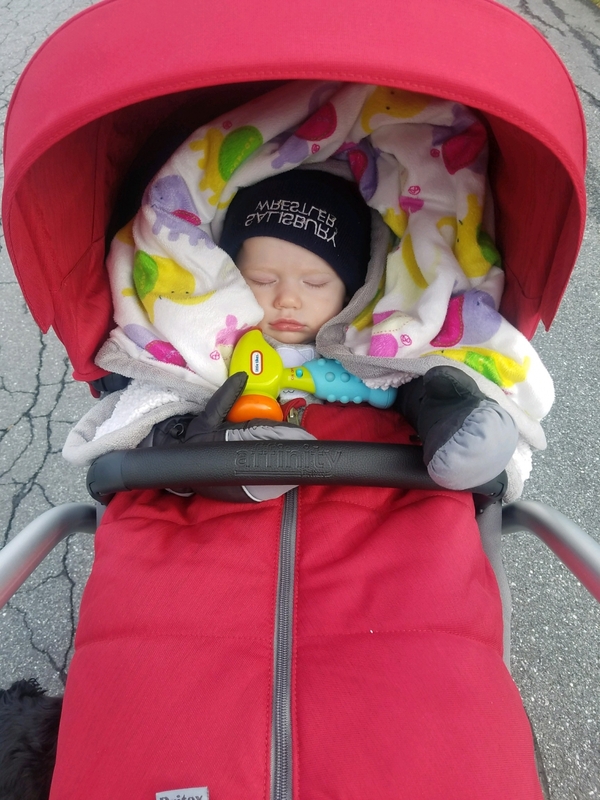 I expected this stroller to meet the minimum requirements for a higher end stroller but I am pleasantly surprised by the amazing quality of this stroller. This is a solid stroller. I've gone through so many types and brands never to be completely satisfied until now. I have zero complaints. I researched the product thoroughly before deciding to purchase. All of my other strollers may be left in the dust for a while. ConsThis part doesn't bother me but may matter to some. The fold is very large but to be expected with this type of stroller. Best UsesFeels super comfy and the colors are so vibrant and beautiful. ProsBeing able to use the carseat, as well as changing the color of the stroller if wanted. ConsI wish the canopy was a little longer. Best UsesI'm using with our Britax carseat too! Loving it.